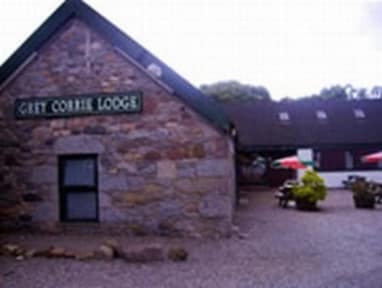 Grey Corrie Lodge Bunkhouse i Fort William, Skotland: Reservér nu! Almost can’t complain since we paid £5 for our stay. We had a tiny room and a bunk bed and the linen was new and clean; very fine. There’s a little sink in the room if you want to freshen up or brush your teeth without going to the bathroom. Only problem we had was the two spiders in each their corner. I had my friend kill the one over my bed since I’m terrified AF of spiders. Can’t say anything bad/nice about the bathroom since we didn’t shower that day. WC were fine. All in all an OK stay. Very very basic accommodation. A bunk bed. A sink. And very little space. Very thin walls - could easily hear snoring a couple of rooms down. 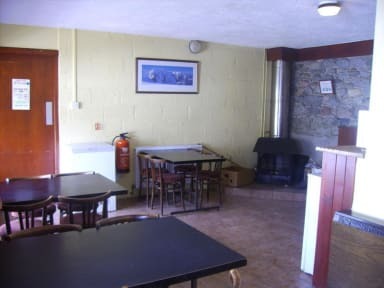 Yes, it's a hostel accommodation, I know, but still! Difficult to reach by public transport because buses stop very early going to Roy Bridge. There's a train though, and the train station is very close - 5 minutes walk - but not many train stops in RB. Too far from Fort William, if that's where you plan to start the day, I think. I can't recommend.